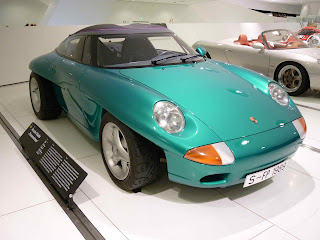 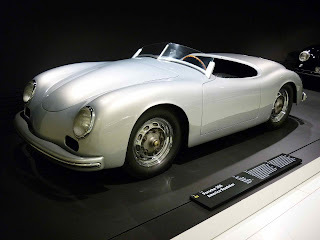 Many of you know that I have been a big fan of Porsche cars pretty much since I became a car nut (literally around fourth grade). 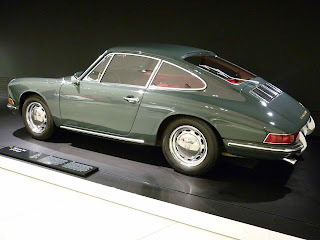 I even aided my addiction in high school by working as a car washer/porter/part-time detailer at a south suburban Chicago Porsche dealer during high school (making $6/hr when minimum wage was $3.35). 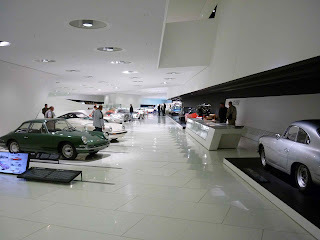 Since this last trip had me traveling from southeast Germany to the northeast, I checked a map to see if Stuttgart, home of Porsche, could be a stop on the way. 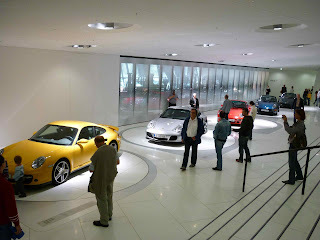 Lucky enough Stuttgart would be hard NOT to pass through during my journeys. 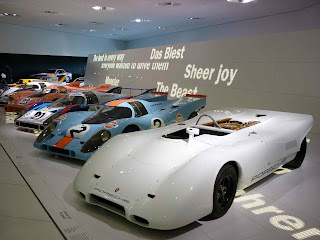 Better yet, a beautiful, large museum opened less than a year ago. 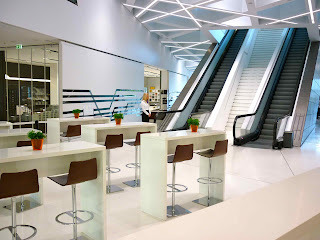 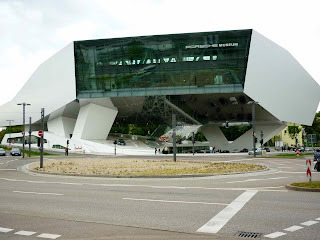 Encompassing 5600 square meters and 80 exhibits and housed in an architectural gem that only touches the ground at three points and appears to be floating. 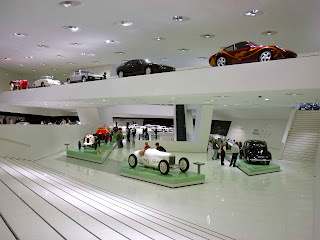 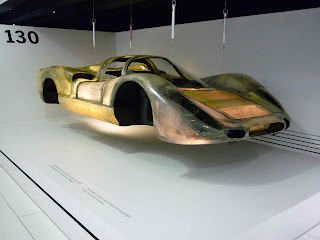 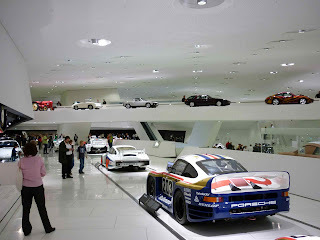 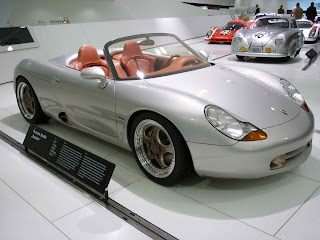 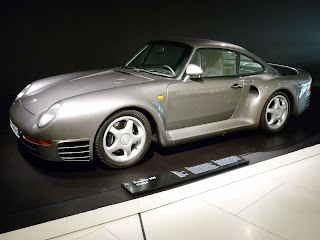 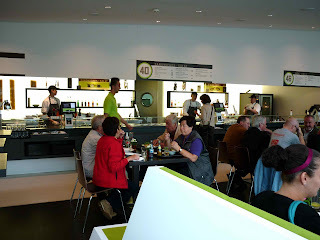 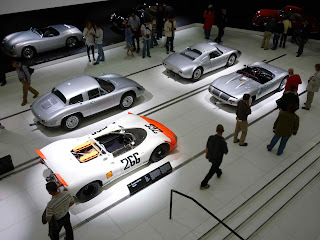 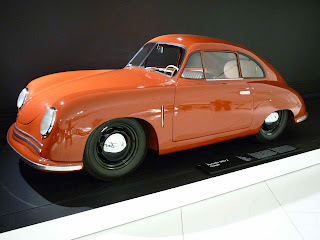 The museum is located across the street from the main Porsche factory in the Zuffenhausen district of Stuttgart. 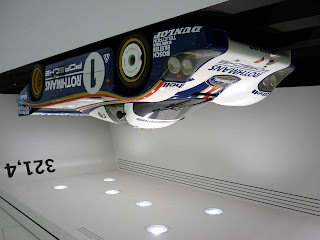 Even the parking garage holds Porsche treasures. 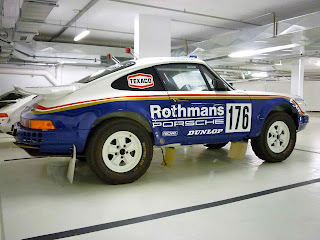 Like this rally-prepped 911. 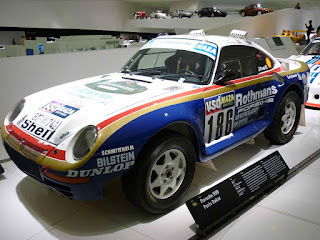 Porsche keeps the cars in running condition, this car had likely returned from some event. 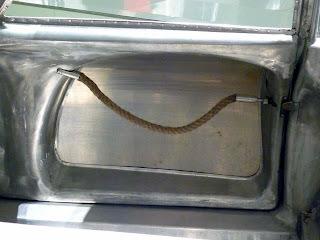 Note the drilled-out bumper for weight savings. 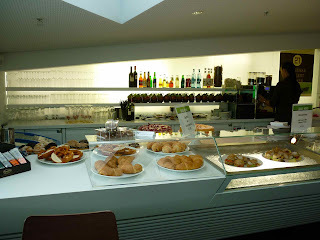 I grabbed a cappuccino and lox on a roll and then headed on up to the exhibits. 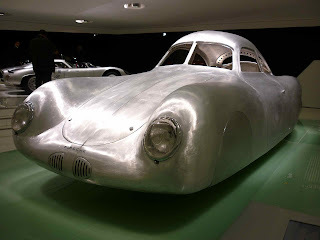 First thing you lay eyes on is Body Type 64 from 1939 - the forefather of all Porsches. 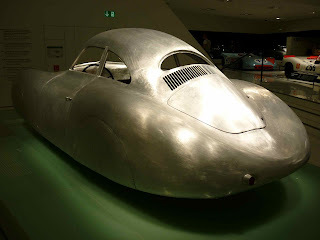 Aluminum construction and streamlined styling enabled the lightweight car to hit speeds of 130 km/h (81 MPH) while only being pushed by a 33 HP VW-type engine. 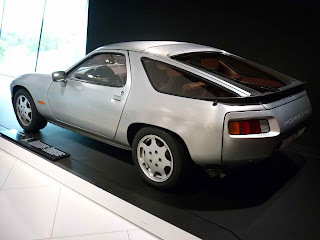 Only three of these were produced. 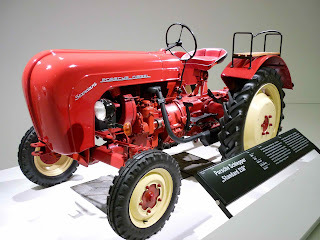 Ferry Porsche developed an early interest in fire trucks. 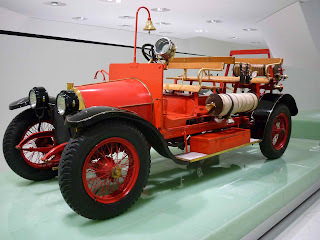 While working as chief engineer at Austro-Daimler he was the first to combine personnel transport, a water pumper and hose - the world's first fire truck. 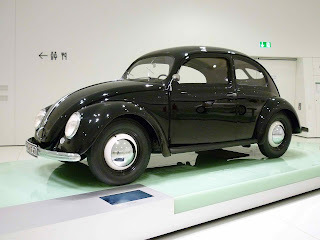 Moving right along, the museum also has one of Ferdinand Porsche's most significant contributions to automotive history - the iconic VW Type 1, designed to seat four and cruise at a speed of 100 km/h. 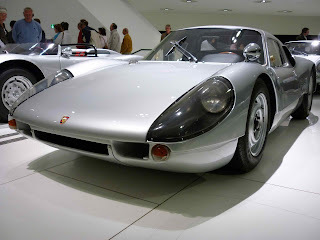 The 956 was reported to produce enough downforce, that at 321.4 km/h, it could theoretically drive inverted. 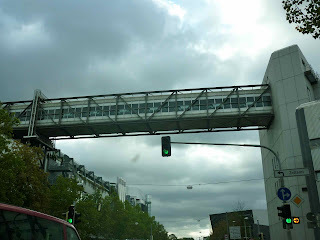 Hey, what's that little red thing there in the upper left corner ^ ? 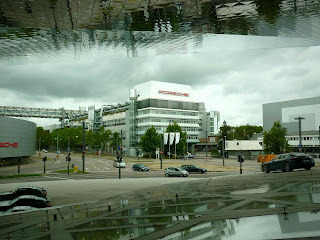 ...and headed over to the gift shop and then across the street to the Stuttgart Porsche dealer. 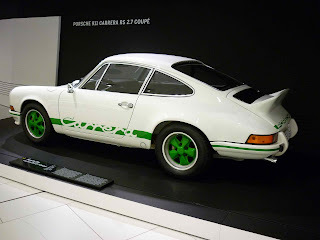 But that's enough Porsche for one day. 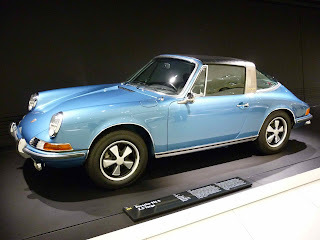 I'll post some dealer pix later.